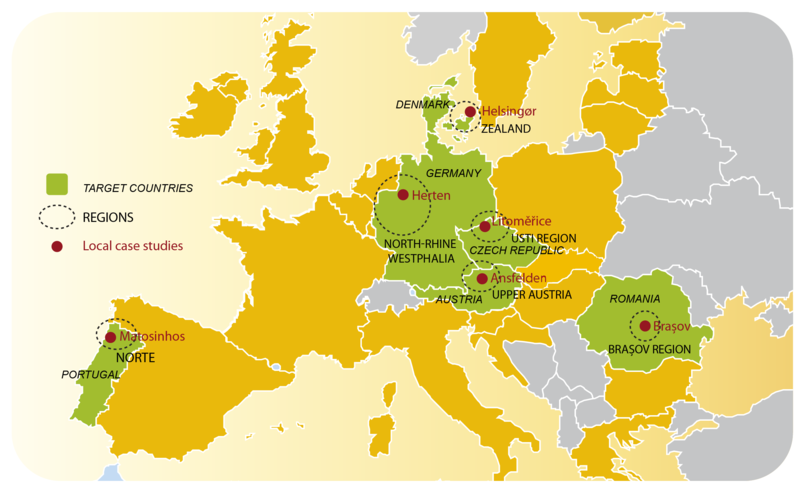 The target countries of progRESsHEAT are Austria, Czech Republic, Denmark, Germany, Portugal and Romania. The considered target countries and municipalities show different conditions in terms of climatic conditions, relevant industry sectors, penetration of district heating, energy and technology mix in the heating and cooling sector, state of efficiency and technologies, existing policy framework and tradition, and barriers to renewable and efficient heating and cooling. A mix of countries and regions have been selected in order to have a realistic, representative analysis of the heating and cooling sector and to allow the results to be easily disseminated. The six case studies will notably help us identify barriers and drivers to fostering the use of renewable energy in heating and cooling networks across the EU.